Description: Vi-Pro Crack Filler exhibits the SUPERIOR performance and durability qualities necessary for a high performance crack and joint filler. This popular filler has excellent adhesion to a variety of substrates such as concrete, asphalt, brick, stone, wood, metal, and more. In addition, Vi-Pro Crack Filler can be used to bond cementitous materials to asphaltic materials. Thats right, read that last line again! 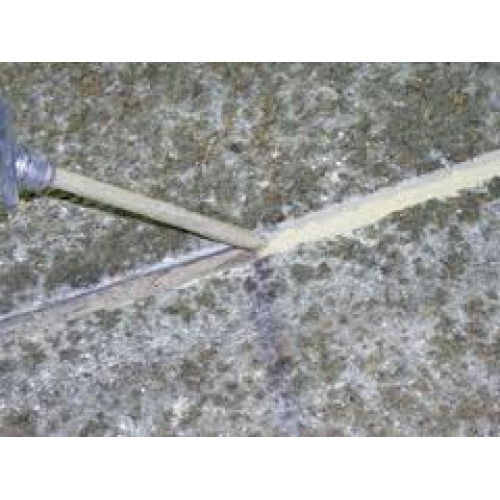 Vi-Pro Crack Filler is one of the few products able to bond asphaltic and cementitous materials together. This product provides a high degree of water-resistance, long term sealing protection, very low vapor transmission rate, excellent flexibility and adhesion, and, best of all, contains ZERO VOC's and NO SOLVENTS! "I make more money when I use that product than any other products combined, it's the answer to so many problems!" Order Vi-Pro Crack Filler now, before we run out of stock by clicking "Add to Cart"